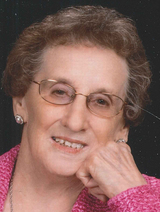 Marcus, Iowa – Olga Nenortas, 89, passed away on Tuesday, August 21, 2018 at Care Initiatives in Cherokee, Iowa. Funeral Services will be at 10:30 a.m. Saturday September 1, 2018 at Peace Lutheran Church in Marcus, Iowa with Pastor Kevin Roop officiating. Visitation will begin at 9:30 a.m. Interment will be at Memory Gardens Cemetery in Cherokee. Olga was born May 22, 1929 in Lithuania, to Alexander & Johanna (Wiesenberg) Dementevas. She married Stasys Nenortas on June 14, 1946 in Kassel Mattenberg, Germany. Olga and Stasys came to the United States on March 28, 1950, sponsored by the Lutheran World Federation Resettlement Service. In 1951, they settled in the Marcus area and were confirmed into the Lutheran faith. Olga and Stasys became citizens of the United States on Friday, April 13, 1956. 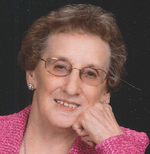 Olga is survived by 3 sons; Viktor (Michelle) Nenortas of Yuba City, CA, Alex ( Pamela) Nenortas of Belle Plaine, IA, and Gene (Carol) Nenortas of Decatur, IL, daughter; Sylvia Nenortas of Marshall, MN, 15 grandchildren, 29 great grandchildren, 2 great-great grandchildren. To send flowers to the family of Olga Nenortas, please visit our Heartfelt Sympathies Store.